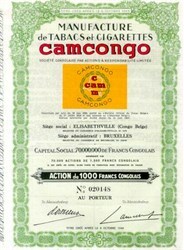 This item is a beautifully engraved certificate from the Manufacture de Tabacs et Cigarettes Camcongo issued in 1944. The company was a Cigarette Manufacturer located in the Belgian Congo during the end of World War II. 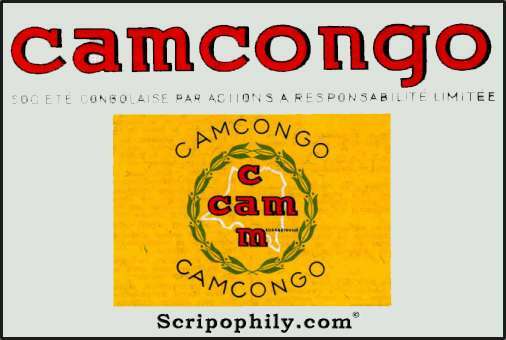 This historic document has an ornate border around it with a vignette of the company's CAM Congo logo. This item has the printed signatures of the Company�s Officers and is over 61 years old. The Belgian Congo is now called the Democratic Republic of the Congo and was fromally called Formerly Zaire.